We are in the very pleasant situation to announce that we are building a new 42 feet sailing boat, fully accessible for handicapped persons. This new sailing boat will be ready next April (2006). This sailing boat can give to a handicapped person the advantage to sail by him without any assistance. A wheelchair user shall be able to get on board through a wide gangway; the steering wheel will be accessible to be used by him. He will also be able to have the total control of the sails and will be able to make all the adjustments during the sailing. 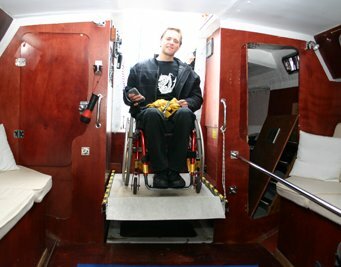 The cabins shall be accessible through an electro-hydraulic ramp that the wheelchair user will be able to use it by him. The sailing boat shall have three (3) double accessible cabins for the passengers and one (1) double cabin for the crew. It will have a comfortable rest room with special equipment so that it can be very convenient for a handicapped person. This boat is being built with specifications to succeed high performances and give the opportunity to people with a disability to experience sailing with safety, without loosing the enjoyment and the pleasure of sailing. This boat shall be used like a teaching boat of sailing and also shall participate in races and regattas with crew apparted from people with disabilities, and can also be charted for cruises and holidays. Our new sailing boat is being built in Italy from "Sabaudia Ettica" which is experts in building boats for handicapped people. The boat whose photos are below is the little sister of the boat we are building. 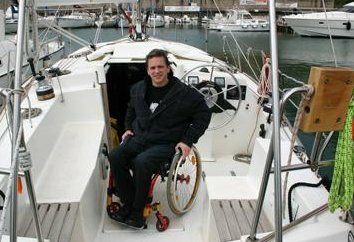 Our company and the people from "Sabaudia Ettica", all these years have gained a lot of experience for the needs and the desires of disabled sailors. 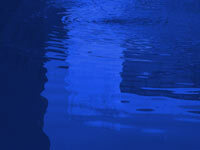 We are convinced that our cooperation will open new horizons for sailing for all.